Six months ago, the price of oil—the lifeblood of the Russian economy—began to crater, and U.S.-led sanctions, implemented in the wake of Russia’s annexation of Crimea in Ukraine, were biting. Russia’s currency, the ruble, buckled, and capital flight began to accelerate as rich but nervous Russians moved more and more money out of the country. 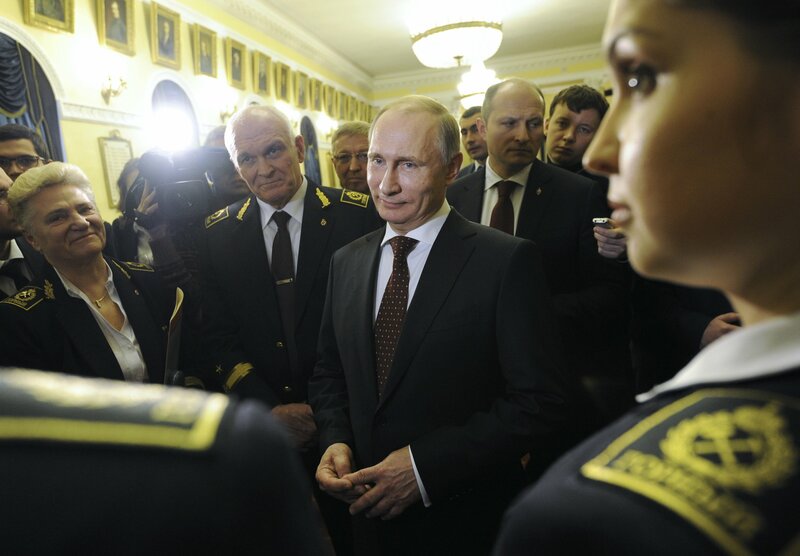 It seemed plausible then to wonder: Could Vladimir Putin be losing his grip? Might economic pressure be enough to rein him in, or even lead to his downfall? Today, the answer is becoming clear—and it’s not the one the West was hoping for. Not only is Putin still standing, but the Russian economy, against most expectations, is recovering. Its stock market is one of the best performing globally this year; the ruble, after losing nearly half its value against the dollar over the course of a year, is rebounding; interest rates have come down from their post-sanctions peak; the government is taking in more revenue than its own forecast expected; and foreign exchange reserves have risen nearly $10 billion from their post-crisis low. The lower price of oil still hurts. Citicorp economists estimate that every $10 decline in the price of Brent crude shaves 2 percent from Russia’s gross domestic product (GDP). Further declines—not out of the question, given that Saudi Arabia, the world’s largest and lowest-cost producer, is still pumping record amounts of crude—will crimp growth even more. But those same Citicorp economists forecast that GDP, after contracting for the past 18 months, could now begin to grow at up to 3.5 percent per year, even without a recovery in crude prices. What explains this resilience? Consider the city of Cherepovets, where 300,000 people live in the northwestern area known as Vologda. It is dreary, gray and industrial—almost stereotypically so. The major employer in town is a steelmaker born in the Soviet era. In the wake of the sanctions and the plunge in the price of oil, Cherepovets would be one of the more unlikely industrial cities in the world to be thriving. But thriving it is. In the last quarter of 2014, the hometown steelmaker, Severstal, posted its strongest profit margins in six years, on record output. On April 9, the company signed a contract to supply rolled steel to a Renault-Nissan auto plant, a facility that plans to increase exports from Russia to the former Soviet republics, the Middle East and Africa. Though better run than many Russian firms, Severstal is not an outlier. According to data from Bloomberg, some 78 percent of Russian companies on the MICEX index showed greater revenue growth in the most recent quarter than their global peers did. And Russian companies on the whole are now more profitable than their peers on the MSCI Emerging Markets index. What’s bailing out Moscow? For the second time in two decades, Russia is showing that while a sharp drop in its currency’s value does bring financial pain—it raises prices for imports and makes any foreign debt Russia or its companies have taken on that much more expensive in ruble terms—it also eventually produces textbook economic benefits. Since a devaluation raises import prices, it also paves the way for what economists call “import substitution,” a clunky way to say that consumers switch to buying less pricey products produced at home instead of imported goods. 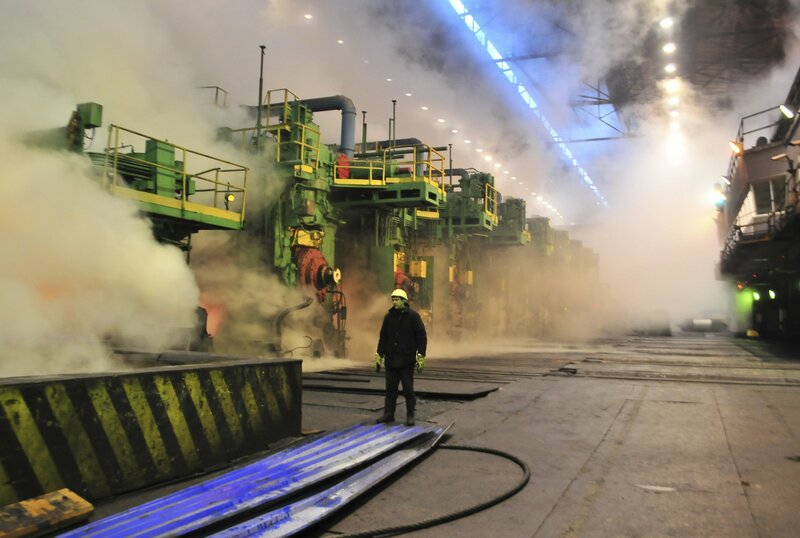 For companies such as Severstal, which exports around 30 percent of its output, the benefits of devaluation are obvious: All of the costs that go into producing steel in Russia—iron ore, manganese, nickel, labor, electricity—are priced in rubles. That means the companies’ costs relative to their international competitors’ have plummeted. At the same time, any steel they sell abroad is priced in either U.S. dollars or euros—both of which have risen in value against the ruble. When the companies bring those sales dollars home, they are worth far more in rubles than they were a year ago. The same phenomenon applies in a big way to Russia’s vast energy sector. Moscow exports huge amounts of oil and gas, and brings in dollars for it. That’s why Rosneft, a huge oil producer with close ties to Putin’s Kremlin, reported a revenue increase of 18 percent last year, compared with an increase of less than 1 percent for its international competitors, according to Bloomberg data. This is a big part of the reason why Russia’s tax revenue has not fallen off a cliff, mitigating somewhat the pain of last year’s crisis. Russia’s oil output is still near record highs—one of the reasons, along with continued full-tilt Saudi output, that prices remain so weak. The world shouldn’t have been surprised by what has happened. More or less the same thing happened in 1998, when the Asian financial crisis spread to Russia and Moscow both defaulted on its international debt and devalued the ruble. There was an immediate negative economic shock, followed by an import substitution-led recovery that was sharper than most international economists at the time believed would occur. “This argues for an economic recovery now similar in nature, if not necessarily in magnitude, to the one after 1998,” says Ivan Tchakarov, an economist at Citicorp. What has changed since then, of course, is the nature of the Russian government and how it is perceived in the West. Back then, Russia was a wobbly new democracy trying to make a transition to capitalism that the developed world was desperately trying to stabilize. Today, less than two decades later, Putin sits atop the Kremlin, openly hostile to the United States with what appears to be a revanchist agenda: slowly but surely reassembling the old Soviet Union. When oil prices crumbled last year, there was a fair bit of hope in Western capitals that the pain would do what sanctions hadn’t yet: force a Russian climbdown in Ukraine, and perhaps prompt Putin to turn back inward and tend to his troubles at home. Maybe that was wishful thinking. Whatever the case, it’s now a moot point. The Russian economy is showing enough resilience that it appears unlikely to check Putin’s behavior abroad. Public opinion surveys at home provide little evidence that the people have turned on him. For Washington and its allies, the time for wishful thinking is over. Vladimir Putin is not going anywhere. Correction: This article originally incorrectly stated Severstal's exports accounted for 20 percent of output. Exports were 30 percent in 2014. Additionally, an incorrect statement that Severstal plans to add at least 2,000 new workers has been removed.